The next three bullet points I found very interesting. I hope you do too!!!!! Forest Bathing for Healthy Living… Developed in Japan in the 1980’s, forest bathing is a cornerstone of preventive health care and natural healing in Japanese medicine. Considered by many to be the latest fitness trend to hit the U.S., forest bathing is “medicine of being in the forest” and spending time in nature awakening all five senses. Forest bathing is today where yoga was 30 years ago. Research shows time spent in nature reduces stress and increases well-being. Soundscaping… Studies examine how sounds – or the lack of sounds – indicate the ecological health of a landscape and the health of our lives. 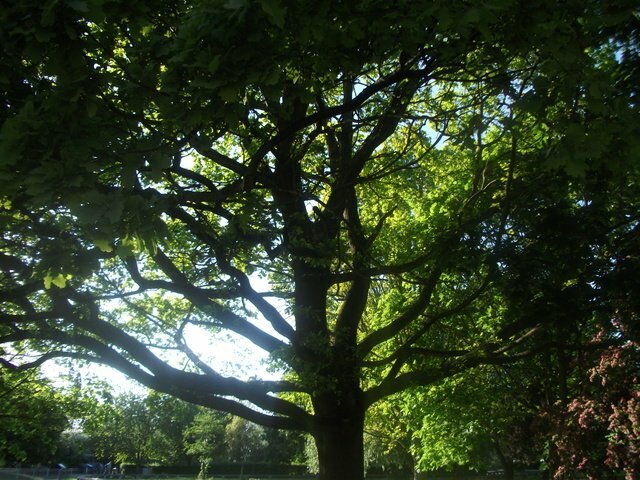 Our mental health, wellness and quality of life are directly affected by trees. Trees change everyday city sounds – from adding birdsongs to buffering sirens. The loss of trees changes the soundscape and decreases our quality of life, increases stress levels, affects our mental health and diminishes our ability to focus. Nature’s Sunscreen… Trees provide more than shade to keep people and homes cool. They actually minimize the harmful effects of UV rays on skin. That’s right – trees actually act as nature’s sunscreen. According to the University of Purdue, sitting under a shade tree provides the equivalent of SPF 10. Shade trees are as important as a hat or sunglasses to protect skin from the damaging UV rays, according to the American Cancer Society.